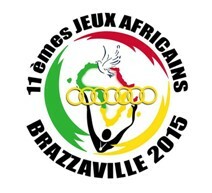 All matches played at Mekelekele, Brazzaville (CGO). First 4 from each Group progress to 1/4 Finals. Draw Saturday 09.05, Yaounde (CMR) at Congress Palace along with draw for Afrobasket Women 2015 and Men Tournament Men AG 2015. _ Group A: Congo, Mozambique, Nigeria, Zone 2 (Mali), Uganda, Madagascar. At time of draw Mali and Ivory Caost were still not qualified. Uganda and Madagascar withdrew and Cameroon was added in Group A. South Africa withdrew from Group B. 12 teams to play. 3 withdrew and 1 was added. Algeria 1st Zone I Women Q 2015. Mali 1st Zone II Women Q 2015. Ivory Coast 2nd Zone III Women Q 2015. Gabon 1st Zone IV Women Q 2015. Uganda 1st Zone V Women Q 2015. South Africa 1st Zone VI Women Q 2015. Cameroon 2nd Zone IV Women Q 2015.